This is my favorite font from FontSpace!!!!!!!!!!!!!!!!!!!!!!!!!!!!!!!!!!! I LOVE IT!!!!!!!!!!!!!!!!!!!!!!!!!!!!!!!!!! enfin je l'ai trouvé !!!! j'adooooooooore !!!!? Copyright (c) julesart 1999. julianne@xtra.co.nz All rights reserved. 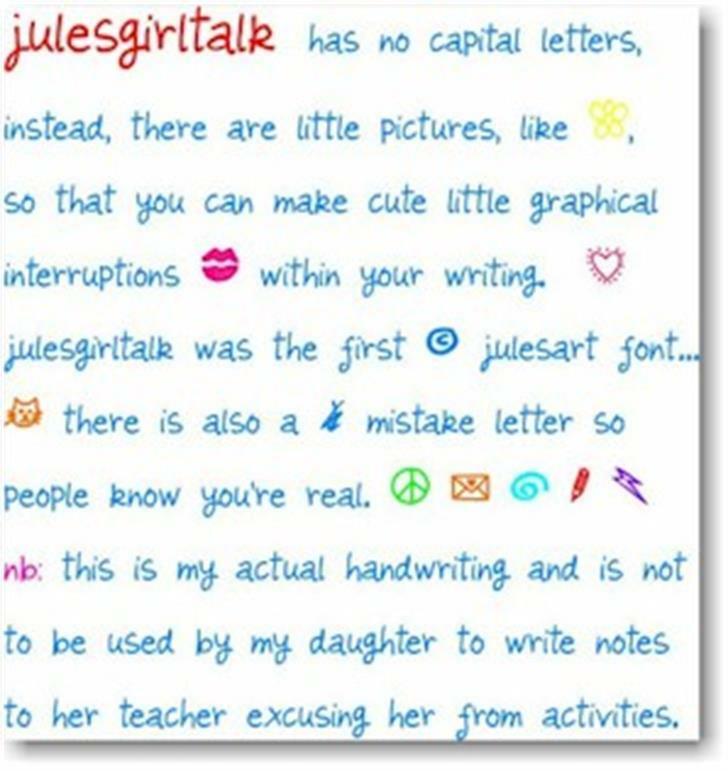 julesgirltalk is a trademark of julesart.